Lpa There are 163 products. We have much pleasure in presenting here the sight set of the new millennium. Our complete line of BAR11 series shotgun sights suitable to most forces shotguns. Almost all models of 12 gauge pump and semi-auto shotgun can be upgraded with the BAR11 sight set to give a state-of-the-art tactical shotgun sight. LPA rear sight for Browning HP Vigilant. LPA rear sight for Colt Gov’t 1911-A1. 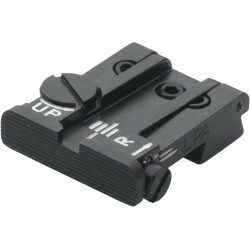 LPA rear sight for Colt series 70, 80, 90. LPA rear sight for CZ 100, CZ75 P-7 Duty. 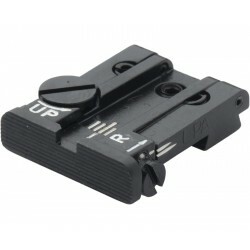 LPA rear sight for CZ 75 (Brno Old Model). LPA rear sight for CZ 75SP01 Shadow, Shadow 2 (without blocking screw and allen wrench). LPA rear sight for CZ 85 (Brno Old Model). LPA rear sight for Glock 17, 18, 19, 20, 21, 22, 23, 25, 26, 27, 28, 29, 30, 31, 32, 34, 35. 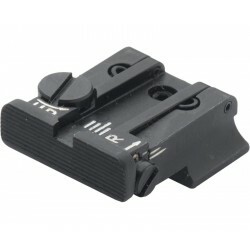 LPA rear sight for Ruger Cal22 (MKII - MKIV).